In addition to opposition from the hereditary chiefs of Wet'suwet'en Nation, the proposed Coastal GasLink natural gas pipeline faces another battle that it says could put the project at risk. In addition to opposition from the hereditary chiefs of Wet'suwet'en Nation, the proposed Coastal GasLink natural gas pipeline faces another battle that TransCanada says could put the project at risk. The National Energy Board (NEB) launched a multi-step process last fall to determine whether the $4.8-billion pipeline should fall under federal jurisdiction and perhaps undergo further regulatory review — ​potentially delaying the project for months. A hearing has not yet been scheduled, but the NEB has listed several filing deadlines between January and March. The 675-kilometre pipeline, which would move natural gas from Groundbirch, B.C., to Kitimat, B.C., for international export was cleared by provincial officials by April 2016. It is owned by TransCanada Corp. But members of the Wet'suwet'en Nation in northern B.C. who don't support the pipeline crossing their territory established camps with fortified checkpoints, barring workers from a road and bridge they need to cross for construction activities. 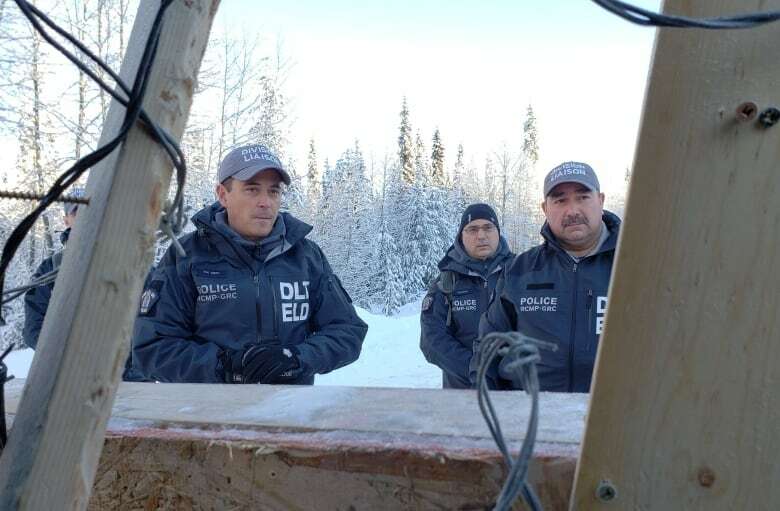 This week, RCMP enforced an injunction allowing workers access to the area. The NEB case was triggered by Smithers, B.C., resident Michael Sawyer, an environmental consultant with over two decades of experience in Alberta's energy sector, who believes the project should fall under federal jurisdiction. TransCanada said in filings from an earlier phase in the process that if the NEB even entertained the jurisdictional question it would have grave implications. "It would create regulatory uncertainty and inefficiency at a time when these issues are jeopardizing Canada's global competitiveness," said TransCanada. "It would put real, tangible benefits to people in B.C., including First Nations, at risk." The company said in an emailed statement that it was "disappointed" with the NEB's October 2018 decision to review jurisdictional arguments. It said the project underwent a "robust two-year environmental and technical review" through B.C. 's regulatory system. The NEB granted the federal government, B.C., Alberta and Saskatchewan intervener status on the case last December. Several energy companies involved in the project, like Shell Canada and PetroChina Canada, which are part of the joint venture behind the LNG terminal in Kitimat, have also been granted intervener status. The Wet'suwet'en hereditary leadership, along with 11 other First Nations, requested intervener status in the first round of the process but were rejected by the NEB because, it said, of the hearings' relatively narrow focus on federal-provincial jurisdiction. The B.C. Ministry of Energy and Mines did not provide comment, but in filings the province said the project was its responsibility. Natural Resources Canada spokeswoman Vanessa Adams said in an emailed statement the issue was up to the NEB. The Alberta government did not respond to a request for comment. Sawyer said the B.C. judge who issued the injunction ordering people at the camps to stop preventing workers from accessing the area did not have all the facts of the project before making the decision. "The crazy thing is that the government knows of my challenge and TransCanada, but no mention of it was made in the injunction application," said Sawyer. "It is very peculiar that they would take these dramatic steps on a project that has a high risk of being deemed illegal." Sawyer said he supports the resistance by Wet'suwet'en hereditary chiefs to the natural gas project. He visited the Gidimt'en camp last week and dropped off hundreds of pounds of potatoes, carrots and onions, along with coffee. RCMP entered the Gidimt'en camp on Monday to enforce the injunction, arresting 14 people. "Nothing makes better friends than a common enemy and that is what we have," said Sawyer. A Supreme Court decision, known as Westcoast, created two tests to determine whether a pipeline that begins and ends within the same province should fall under federal jurisdiction. Sawyer's argument hinges on the first test which rests on whether the project is "functionally integrated and subject to common management, control and direction," according to the 1998 ruling. "This Coastal GasLink pipeline is intended to be part of of an inter-provincial pipeline system that would bring gas from Alberta and northern B.C. out of Kitimat for export," said Sawyer's North Vancouver, B.C., lawyer William Andrews. In its filings, the firm states that while the project will eventually connect with the Nova Gas Transmission system, which spans Alberta and B.C., the two would operate independently. The firm also said there is currently no application on the regulatory books to connect the two systems. When the company originally submitted the Coastal GasLink project for a federal environmental assessment in 2012, it said there would be "an interconnection with the existing [Nova Gas Transmission] System at Groundbirch." After the Stephen Harper Conservative government changed the regulatory process, narrowing the types of projects covered by federal review, the assessment was stopped, leaving B.C. to approve it on its own. Sawyer believes political machinations between Harper and the previous B.C. Liberal government of Christy Clark greased the gears for this to happen. Federal Green Party Leader Elizabeth May has the same suspicions. "It's certainly a convoluted path that the Kitimat LNG project benefited from," said May, who failed to get intervener status with the NEB for the jurisdictional case. "I sure would like to see it properly analyzed; I would like to see it challenged." Jorge Barrera is a Caracas-born, award-winning journalist who has worked across the country and internationally. 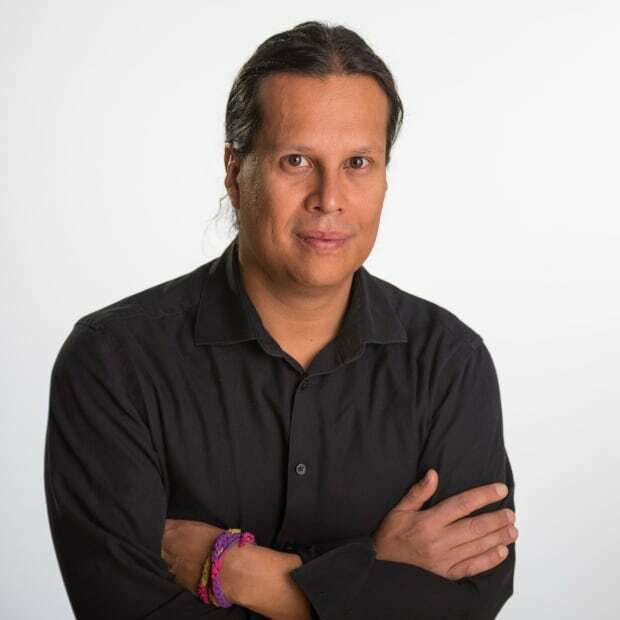 He works for CBC's Indigenous unit based out of Ottawa. Follow him on Twitter @JorgeBarrera or email him jorge.barrera@cbc.ca.